Check out this rug! It's made from knotted rope and looks like a giant doily. This could be granny chic or hipster funk depending on where you put it, kinda cool huh? 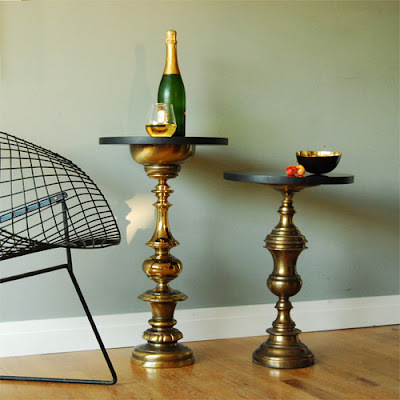 The same company, Ladies and Gentlemen, also sells vintage items and some other really cool stuff, including these side tables made from repurposed and reconfigured brass table lamps.